City of Greater Sudbury's bureaucrats axed their Auditor General and Internal Audit Department. Bureaucrats also decided to suspend the Auditor General department, and reassigned senior auditor Vasu Balakrishnan to other duties in the city's finance department. The bureaucrats engaging in fraud or corruption are held accountable for their wrongdoing. Fraud and corruption commission needs to be called in. 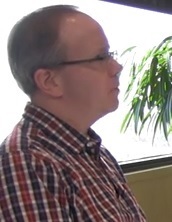 MacDonald: “The man to call to give you the news TDS needs.” WikilLeaks Sudbury uncovered irresponsible and unethical reporting of Northern Life City Hall Reporter Darren MacDonald. After lengthy investigation of many reports he submitted for Northern life, now it is concluded that MacDonald is in fact on the City bureaucrats’ pay roll. 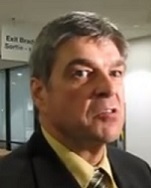 His reports consist of but are not limited to the Greater Sudbury utilities’ audit, the Tower scandal, the Human Rights Hearing, Mayor Marianne Matichuk’s red dress and the latest media accreditation of City Hall. He has been advised to create a scenario best suited for the bureaucratic agenda. He wrote many articles for the Northern Life newspaper to distract readers and drive away from contentious issues to protect his bureaucrat allies. He himself “creates a story, within the story” for example that of the mayor’s red dress at the Totten mine opening ceremony. MacDonald’s attempt to connect the mayor’s affiliation with the liberal party based on the color of her dress is immature. These reports create unnecessary hoax and drive readers away from the focus on real issues affecting them. There is no logical analysis in his reports, as they are merely aimed at providing misleading information to protect City Hall bureaucrats. On many occasions, MacDonald’s reports were countered by local and alternative media. The facts as they appeared in the many newspaper articles written by Darren MacDonald are inaccurate, and his irresponsible reporting has consequently severely damaged the credibility of Northernlife and shows a very weak ethical backbone toward his journalistic professionalism. What WikiLeaks Sudbury can say is that paid news has destroyed the spirit of journalism; it has diminished the standards and respect for those in the profession. The very entity that accuses and splashes in ‘print corruption’ is guilty by its own conduct having begun an ugly trend of accepting money (directly and indirectly, eg: ad dollars) from city’s bureaucrats to run the news according to what is favorable to them. MacDonald’s journalism today is all about fixing stories, running scripted news that undermine all ethics. These allegations regarding MacDonald’s unethical reporting cannot be neglected and readers should be more cautious about Northern Life articles written by MacDonald. Well-paid, City’s Human Resources co-ordinators Vicki Baronette and Karen Matthies and their leader Fowke teamed up with their infamous cover-up lawyer, Mireille Khoraych, to keep the public in the dark, however their attempts were defeated. WikiLeaks Sudbury already revealed that in order to protect their corrupted empire, Fowke paid over one million dollars from tax dollars to Khoraych’s Toronto-based firm. A new Rights application was brought forward before the Ontario Human Rights Tribunal against Nick Benkovich (Director of Wastewater Services) and Kevin Fowke (Director of Human Resources and Organizational Development) to test their claims that the WikiLeaks Sudbury publications are vexatious against them. The matter was heard before the Tribunal and their request to declare the Applicant as a vexatious litigant was denied (Citation 2014 HRTO 703). The decisions of the Ontario Human Rights Tribunal are final therefore neither Benkovich nor Fowke are permitted to appeal against the decision. In order to encourage a legal battle, employment issues were included within the application. However the Tribunal has no jurisdiction over labour disputes and therefore Benkovich and Fowke were beat at their own game. Benkovich and Fowke hired their infamous cover-up lawyer Mireille Khoraych from Toronto. WikiLeaks Sudbury however, set up a hurdle for Benkovich and Fowke, naming Khoraych as a respondent to the application. The duo stepped into another free roller coaster ride thanks to their unaware “donors”- tax payers from who the duo took thousands of tax dollars to retain Khoraych as their cover-up lawyer. At the hearing, the vexatious litigant issue was presented by the City’s cover-up lawyer, Khoraych. She submitted an over 400-page document and made sure to include all WikiLeaks Sudbury publications in their response. Additionally the City produced many documents including the Freedom of Information requests and matters before the Ontario Human Resources Professional Association, claiming that they were vexatious against them. WikiLeaks Sudbury’s legal defense team successfully countered all their arguments and the Tribunal denied their entire claim (Citation 2014 HRTO 703). Vice chair, David Muir also noted in his decision, Benkovich’s new work assignment is “Controversial” (see Citation 2014 HRTO 703, Para 17). This is a clear warning that the Human Resources division must ensure that its internal hearing processes are reasonable and balanced and that its reasons are adequate, with both factual and legal support. (See Benkovich's cost saving brilliant idea and new work assignment) However there are no signs of workplace issues being addressed in a reasonable manner. Benkovich and Fowke continually attempt to govern the publicly funded organization in an authoritarian way and their attempt has now completely failed. The vice chair also noted that the conduct of the applicant does not amount to abuse of process and is not vexatious against either Benkovich or Fowke (Citation 2014 HRTO 703, Para 35). This is a clear sign of approval in allowing employees the right to voice their concerns against incompetence, mismanagement and in defrauding public funds. David Muir, vice chair, elaborated on his decision stating that “there is not at this time a sufficient basis to justify the extra-ordinary remedy of declaring the applicant a vexatious litigant with the consequence that the applicant would be deprived of the right to file an Application with the Tribunal without first obtaining leave to do so” (Citation 2014 HRTO 703, Para 33). 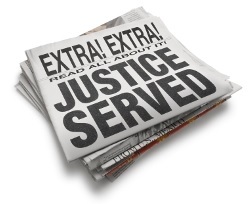 Furthermore, Vice Chair Muir concluded his decision saying: “I decline at this time to find that the applicant’s conduct amounts to an abuse of process and the respondents’ request that the applicant be declared a vexatious litigant is denied” (Citation 2014 HRTO 703, Para 35). "Fowkevich’s" kangaroo court is actively engaged in suppressing the voices of the employees of The City of Greater Sudbury to prevent leaking of their corrupted regime. It is no wonder that from time to time the City administrators get into panic mode by miscalculating and committing acts that everyone outside the regime recognizes as administratively stupid. Their attempt to keep the public in the dark failed. This decision makes a change in the arena of access to information and media freedom. This is not the first time the City’s “gravy Obsessed” bureaucrats attempted to suppress freedom allocated to media. For example, recently the City enforced upon media personnel a required accreditation procedure to allow coverage of city council meetings. Request to declare Small court action against Benkovich and Comin to uncover Fowke’s double standard policy on labor relations issues in the City as vexatious. Request to declare matters brought forward before The Ontario Human Resources Professional Association against Karen Matthies (Relief Director of Human Resources and Organizational Development) as vexatious. In a well-functioning representative democracy, citizens should select competent politicians to administer public affairs and hold these accountable for their performance. A precondition for these aims of democratic government is that citizens have appropriate information about candidates' character, abilities, and performance while in office. However, whether providing information to voters about the corrupt practices of politicians induces a sustained improvement in government administration and a reduction in rent-seeking - desirable qualities of good government in the longer run - is less well understood. The political agency models with information dissemination make clear predictions regarding the effects of providing voters with information about the politician's actions and the politician's type with respect to political selection and the quality of government in the future term - mainly, the honesty/congruence of the re-elected politicians should increase, and the quality of government should improve, unless the pool of potential candidates is composed of a substantial proportion of dissonant politicians. Does the disclosure of information about corruption practices induce a sustained reduction in corruption levels? We use publicly released routine audit reports to study this question. The government has established a mechanism to routinely conduct municipal government audits, whose findings are then made publicly available and disseminated to media sources. Using a longitudinal dataset of corrupt violations constructed from the audit reports during the period 1987-2006, we compare the subsequent term governments' levels of reported corruption for municipalities audited at different points in time around an election. The pre-election release of the audit reports led to significant short-term reductions in municipal corruption levels and an increase in incumbent mayors' electoral accountability. However, municipal corruption levels in the subsequent term are higher in municipalities audited preceding the previous election and these are concentrated among municipalities shown to have refrained from rent-seeking activities in the first audit. These findings are consistent with a political agency model of reputation dynamics in which rent seeking is increasing in the incumbent's reputation in equilibrium. Many studies highlight the role that information play in enhancing political accountability in the short-run but its plausible negative consequences for politician behavior in the longer-run. In particular, the findings lend empirical support to the argument that, although this may lead to greater social (i.e., voter) welfare, short-term information dissemination policies do not necessarily align politicians' actions with voters' preferences in the longer-run. Whether this may imply a trade-off between honesty and competence of elected officials as highlighted in theoretical work by researchers) or help solidify beliefs of "cultures" or norms of corruption are questions left for future research. This study highlights the role that information plays in enhancing political accountability in the short-run but its plausible negative consequences for politician behavior in the longer-run. In particular, the findings are consistent with a political agency model of reputation dynamics in which in equilibrium rent seeking is increasing in the incumbent's reputation. In this model, if voters re-elect incumbent mayors based on their reputation-based performance in office, a mayor whose reputation has improved in the past can exploit this information asymmetry to engage in rent-seeking activities, leaving voters indifferent between re-electing him and electing an inexperienced challenger. Given these perverse reputation incentives, re-elected mayors who have been shown to refrain from rent-seeking activities in the past will on average be more corrupt in future terms than mayors who do not. Importantly, this is consistent with information dissemination on politicians' actions leading to an increase in ex ante voter welfare, as the short-run positive disciplining effect can dominate the negative consequences of imperfectly screening a corruptible politician who then serves in a subsequent term. The research design and the richness of the data also allow us to distinguish our explanation for corruption outcomes from various alternative interpretations. First, even though the timing of the municipal government audits is pre-determined, the actual auditing process could have differed systematically before and after elections. We do not however fmd any evidence that auditors were corrupt or that mayors with more political power or those affiliated with higher levels of government receive preferential audits. A second concern is that political cycles are potentially consistent with the variation in the effects of the timing of the audits on the observed levels of corruption. However, we show that the actual timing of the acts of corruption, as measured by the dates in which acts were committed, is not correlated with the timing of the audit. The study contributes to the growing empirical literature documenting how electoral accountability, and information provision in particular, influences political behavior. Researchers show that newspaper circulation affects the responsiveness of state governments in India to negative shocks to food production and flooding. Using a randomized experiment in Indonesian villages, analyzes whether different monitoring mechanisms reduce corruption in infrastructure projects, and finds that a top-down auditing scheme is effective in decreasing corruption in the short-run. Most notably, in a series of papers many researchers use similarly objective measures of corruption from audit reports of municipal governments in Brazil to study whether electoral accountability serves as a mechanism to align politicians' actions with voters' preferences. Specifically, researchers show that electoral accountability is enhanced when information about corruption practices in these municipalities is publicized, whereas they show the extent to which re-election incentives affect political corruption in the short-run.' This paper contributes to the literature by providing for the first time (to our knowledge) evidence of the divergent inter-temporal consequences on political corruption of voters having information about the corrupt practices of politicians. Bobonis, G.J., Fuertes, L.R.C., Schwabe, R. (2010). Does Exposing Corrupt Politicians Reduce Corruption? Workshop Paper, Department of Economics, Duke University, North Caroline, USA.